Bob and Celia Christmas would be delighted to welcome you to stay at La Roche Colombe which is a renovated provençal farmhouse vacation rental, built on the site of a roman villa and imaginatively restored around an arched courtyard. 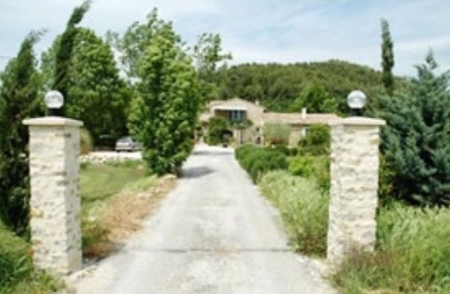 We are surrounded by panoramic views of the nearby mountains and the medieval village of Manas. The atmosphere we like to create is restful and friendly. In the shady gardens and extensive grounds, there are plenty of peaceful places to sit quietly reading, chatting over a glass of rosé under the lime tree, sitting by the pool, or even pottering with the boules. We are thrilled that La Roche Colombe has been featured in French Property News, France Magazine and the Figaro in their special holiday editorials. Many of our visitors return time and again. 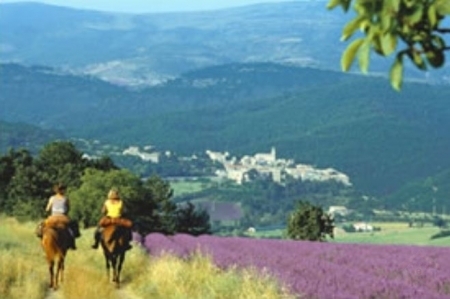 The Region: The calm, beauty and magnificent scenery of the Drome Provençal has also acclaimed by the Daily Telegraph and the Sunday Times (Aug 2007). There are plenty of good, local restaurants nearby to try and the numerous Cotes de Rhone vineyards are fun for a tasting day out. 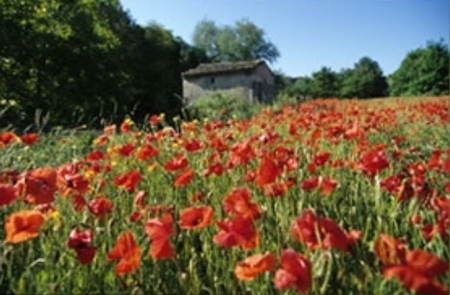 There are many historic Roman and medieval sites to visit and the local French are warm hearted and welcoming. 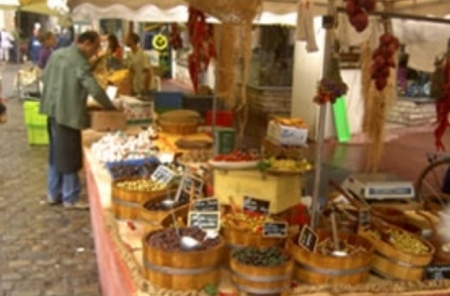 Location: We are in the hidden part of old Provence, which is easily found and the airports of Avignon, Nimes, Marseille, Grenoble and Lyon are all under 2 hours drive, with the TGV stations of Valence and Avignon at 55 minutes and the A7 motorway at 20 minutes away. The Pool: The pool (12 x 6 metres) has magnificent views, plenty of sun beds and an honesty bar where you can help yourself to a cool drink any time. Food: At La Roche Colombe we are renowned for evening dinners which we serve four evenings a week.